Create your brand. Build your website. When you think about it, you can almost see it. You have a vision for what you want to be doing, but you’re a little overwhelmed with what that looks like. You know who your clients are, but don’t know how to say it in a way that reaches them. And, you’re tired of trying to figure it out because time is of the essence. After almost 20-years in the industry and feeling the itch for a new challenge, I changed gears and went back into coaching (Check out the whole story here). When it came time for me to get my business up and running, I knew exactly what to do, how to talk about it, and how to design and market it. The more I listened, though, the more I kept hearing the same challenge: having a new certification or degree didn’t prepare people for how to market their business and create new clients. I knew that I was in a unique position to jump in. Frustrated that there’s a whole marketing and branding side to your biz that you seem to be reinventing the wheel for. Overwhelmed by how much has to get done when your focus should be getting clients and paying the bills. Confused, unsure, and overloaded by all the options and information out there. Afraid you may be making the wrong decisions that are going to cost you in both time and money. You’re also probably feeling like you’re way behind the 8-ball. You’re looking at other people’s businesses and websites and thinking, “These are fine, but I want mine to be different,” because you know that yours has to reflect you. So, maybe you’ve thrown something quickly together that you’re not thrilled about just so you have something, or maybe you’re about to DIY it but don’t know where to start. I want you to know something important: I get it. In this program, we’re going to roll up our sleeves and give you the one-on-one, hands-on attention you need to get your messaging, branding, and your Squarespace website up and working FOR you to grab your client’s attention. Read on to see how we’ll do it. Here’s how we’ll do it. Total clarity around how you provide your services, as well as who your clients actually are (as well as who they're not) so you can properly target them. How to talk about your products and services in a way that answers the exact problem your clients are looking to solve. What makes you stand out, even in a crowded field. How to speak to your clients so they say, "wow, it was like they're talking directly to ME." We’ll nail down your overall esthetic, color palette, and feel of your entire brand. all the benefits of working with an official Squarespace Circle Designer, which includes 20% off your first year of any Squarespace annual plan, and a 6-month trial period on your website (instead 2 weeks). A custom-designed Squarespace website that works on both mobile and desktop (up to 7 pages). Note: The cost of the program does not include Squarespace membership. Your own website domain, which is included with Squarespace membership. Custom graphics, visual assets, and coding so your site stands apart. A custom "Coming Soon" page so clients can continue to reach out to you during the design phase. I’ll also provide my best practices to convert your audience to become paying clients. A 1-hour Squarespace Intensive so you’ll feel empowered to truly own your site. A 30-minute blogging lesson so you’ll be ready to create your own incredible content from Day 1. We’ll also review how to create the best content for your specific audience. One month access, free-of-charge, for any additional questions or edits. Let me help you. I’ll give you all my strategies, tips, hints, AND an incredible site so you can start focusing on your business and getting those clients. Think about where you want to be a few months from now. Do you have a proven plan to get you there? Instead, let’s work together using my proven step-by-step process to get you that polished messaging, branding, and website you needed, like, YESTERDAY. Click below to schedule your free consultation where we pow-wow your business and goals and see if Pursuit with Passion is right for you! 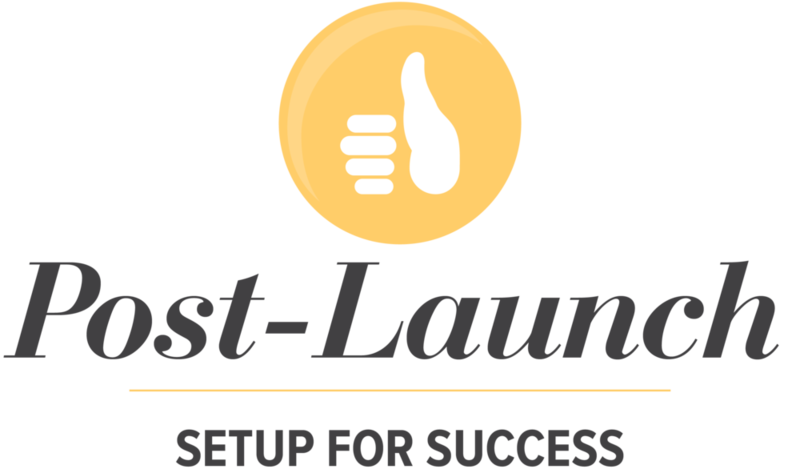 Most of my clients are just launching their business and I’m so excited to partner with them. I’ve also worked with entrepreneurs who have been at this for several years and know this is the right time for a total re-think and re-launch. DOES THIS INCLUDE A SQUARESPACE MEMBERSHIP? The cost of this program does not include a Squarespace membership. Squarespace has several tiers of pricing, and we require at least the business-level. You can view the various plans here. Because it is one of the easiest platforms to learn the basics of and doesn’t require you to have any technical know-how to dive into. While there is always a learning curve, the Squarespace platform is consistent, clean, responsive, and reliable. One of the other benefits is that while you must purchase, connect, and update templates and multiple plug-ins for a WordPress site (that require constant fixing when they break), Squarespace builds plugins into their platform and is continually adding new ones. Squarespace also has partnerships with many other online services to seamlessly integrate their functionality into their sites, sometimes even for free. Oh, and it automatically makes sure your site is mobile-friendly and has built-in SEO support. What’s not to love? The coaching component takes a minimum of three weeks, and custom website design typically takes 2 weeks once all assets (text, images, etc.) are supplied in their totality. If assets are not delivered at once, website design can take upwards of 1-3 months. Projects generally book 4-6 weeks in advance. WHAT IF I HAVE A QUESTION AFTER THE POST-LAUNCH PERIOD EXPIRES? Just e-mail me and I can step you through how to make the change. (If it’s an easy one and I have time, I may be able to jump in and do it for because once you’re part of my tribe, you always will be). If it's a more comprehensive request, we can discuss a payment plan that works. CAN YOU HELP ME IF I NEED OTHER TYPES OF DESIGN? Absolutely. I’ve worked with clients to create business cards, brochures, guides, posters, client intake forms, you name it. There is a separate charge for this, of course, but it’s all very doable and reasonable. WHAT ABOUT TEXT AND IMAGES? DO YOU WRITE AND TAKE THE PHOTOS? The short answer is no, but our work together is setting you up for success in this area. You will ultimately create your own copy as you are the best expert on YOU, after all, but the coaching program is designed to provide you many of the copy points that you will use throughout your site. For images and photography, Squarespace has partnerships with outside sources for both paid and free stock photos. I can also review any photography of yourself you already have to see how suitable it would be. WHAT IF I ALREADY HAVE A DOMAIN OR WEBSITE? If you already have a domain, we can either just connect it to Squarespace, or transfer it over completely. If you're moving to Squarespace from WordPress, you can import pages from your WordPress site as long as it’s with WordPress 3.2 or higher. There are some limitations on what can be imported, which is explained here, but we’d talk it through and figure out a plan. WILL MY WEBSITE BE ON THE FRONT PAGE OF GOOGLE WHEN WE LAUNCH? Squarespace does an incredible job with their built-in SEO capabilities, allowing many websites to be found early in Google rankings when searching under unique terms (such as your business name or actual name, as long as there are no well-known businesses or figures with the same name, of course). Searching under broader terms, such as "life coach new york city" or "architect los angeles," however, will quickly educate you in the longer-term game of SEO, as it takes time, strategy, and effort to break into broader search rankings. SEO is a process that can take sometimes up to a year to see results in, and rewards those who update their sites, blogs, and other connected accounts, as well as have other websites that link back to yours (like Yelp, guest-posting on someone else's blog, or being written up in your local newspaper). Time rewards those who are committed to the process, and I can provide guidance and strategies to help you with your SEO after we complete our work together. How you’ll know this program is right for you. You are either just starting a business or are in your initial years and you’re ready to go primetime in creating clients. That may mean nailing your messaging, marketing, and website, and having them work as a larger solution in your business. You’re willing to invest in your business because you’ve realized that to create results, you need to make a statement and declare that your business is worthy of your time and money. You really really care about how powerfully your business connects with people and how it’s rooted in what’s important to you and the clients you wish to attract. You’ve invested a massive amount of time trying to put together the polished trifecta of branding, messaging, and website, and you realize that you’ve gone as far as you can go. You’re willing to give this program your all and enthusiastically do the work, knowing that what’s on the other side is more than your business, it’s your calling.